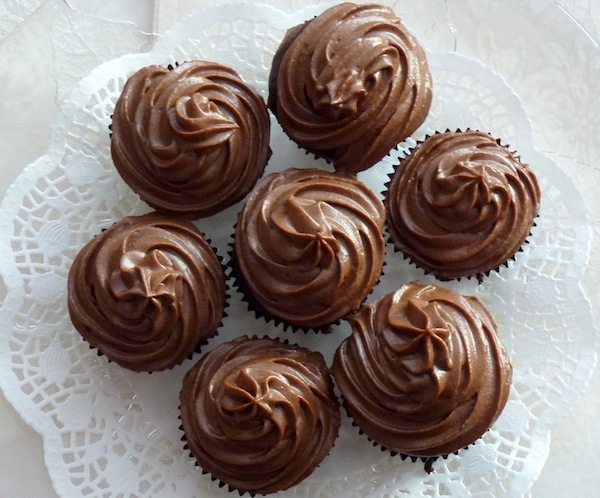 This is not a true ganache recipe because real ganache consists of just chocolate and heavy cream (for more info, check out my Ganache 101 post.) While this version may not be the real thing, it is a healthier version that can be enjoyed by people who don’t do dairy. I used this “ganache” to frost my spiced chocolate avocado cupcakes but you can also eat it on its own like a pudding. If you aren’t an avocado addict like me, this probably isn’t the ganache for you. On the other hand, if you do have an avocado addiction, you’ll love this chocolate-avocado combo. The avocado flavour is subtle, but if you have super-sensitive taste buds you can try using just one avocado instead of two. In a food processor, puree the avocados until smooth. Add the maple syrup,cocoa powder, and salt to the food processor. 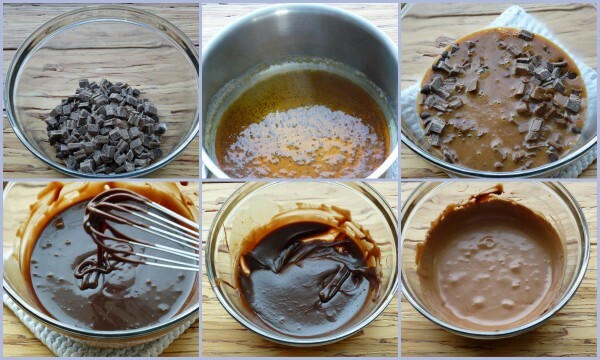 Melt the chocolate chips and add to the food processor. Open the can of coconut milk and transfer the thick coconut cream from the top of the can to a separate bowl. Add the remaining liquid to the food processor and mix until completely blended. Using an electric mixer, beat the coconut cream until light and fluffy. Beat in the chocolate mixture until you have a nice fluffy consistency. Allow to cool in fridge for 2 hours before piping onto cupcakes. 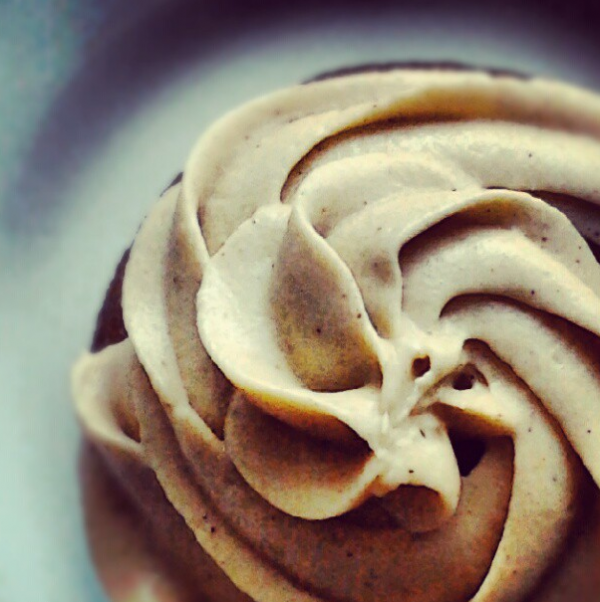 Beat cream cheese, speculoos spread, and vanilla until smooth and uniform. Slowly add icing sugar and blend together until thoroughly mixed. Buttercream icing is one of the most common icings for decorating cakes. You can use it to fill or spread over a cake, as well as to pipe decorations. Depending on how you are using the icing, you may need to adjust the thickness. For spreading on a cake, a slightly thinner consistency is easier to work with; if it is too thick, it won’t spread well. Piping decorations, on the other hand requires a thicker consistency. You can adjust the consistency by using more or less milk or adding more icing sugar. Some buttercream recipes use all butter and no shortening. The reason for using shortening is that is has a higher melting point than butter. Buttercream made with shortening can withstand heat much better than buttercream made with all butter. If only butter is used, care must be taken to ensure the cake stays cool, otherwise the icing will most likely melt and ruin the cake decorations. 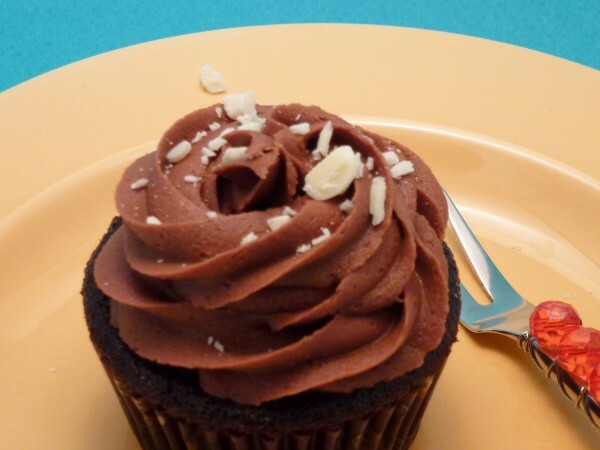 Often people find that using all butter makes the icing melt too quickly in the mouth. It is all personal preference so if you prefer omitting the shortening and going all butter, go for it! Butter has a much better flavour than shortening, which is why you wouldn’t ever want to only use shortening in an icing recipe. Slowly add sugar while continuing to beat. Add milk and beat on medium speed until light and fluffy.